Dignity’s ‘Love Your Village’ and ‘LifeSkills!’ programmes seeks to teach villagers how to help themselves, the vulnerable and more importantly, why to do it in the first place. 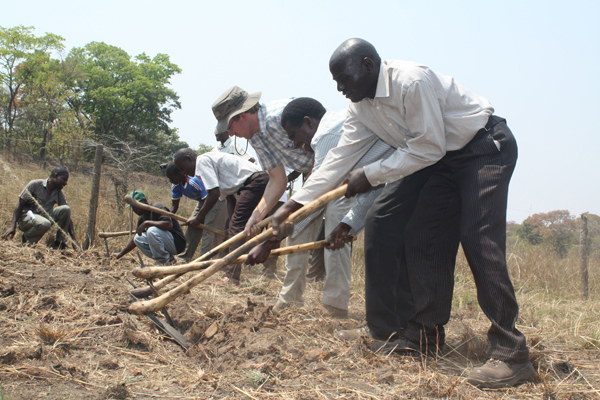 Last week nine delegates from four regions of Zambia completed the latest phase of their training, teaching Christian Conservation Farming skills in their respective village areas. It’s an exciting development. Now they have travelled back, they carry a challenge to teach the skills they have learned to two new villages in their areas. Our plan is that 8 village areas will receive training by local people. In Zambia, that’s nothing short of a small miracle! How did we go about this? The process started a year ago when 16 villagers were identified who could form new Impact Team members with a specialism in farming. Impact Teams are village level team members who work with Dignity. 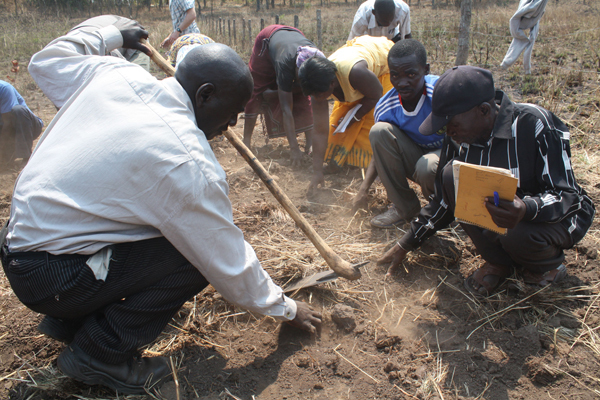 The visiting villagers were trained in how to use the land God has given them productively. 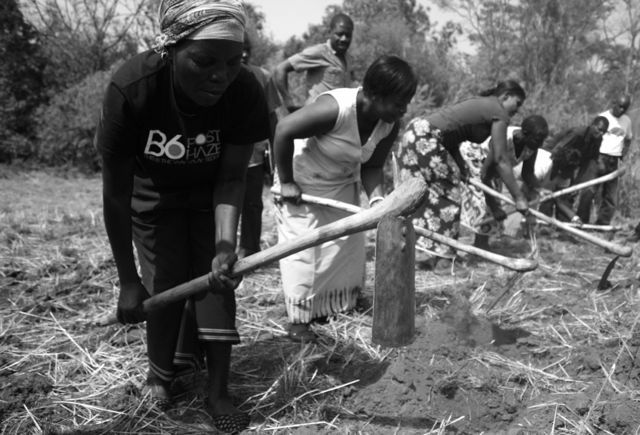 Dignity partnered with Foundations Zambia, who teach Christian conservation farming. What’s the point of re-inventing the wheel? We believe it is very important that villagers take steps themselves with God to better the communities they are in. We adopt this principle when selecting who will become trainers and team members. We look for those who are faithful. With the visiting group, we looked for those who left our course and put the principles into action personally. Some of them even helped their community! Nine were faithful. The other seven learnt the skills but did not put them into practice. These nine were invited back. Dignity has twinned the practical farming skills with its established Love Your Village training course for a formidable combination. Love Your Village is a 10 week programme on loving and helping your village community. It teaches villagers “why” it is important to love your village. Twinned with other skills such as farming, they also learn how to do it. The result is that the very poor are taken care of and everyone learns how to better grow food and profit for themselves. Many also come to Christ as they realise God has an agenda to help them. Pray for the nine! They need God’s help in getting this right. Our plan is that if the trial goes well, many more villagers will be trained next year. Over time we hope to expand the areas and skills that we offer training in. We are indeed planting seeds for the future.